‘Glee’ creator Ryan Murphy has taken to Twitter to assure fans that Dianna Agron will return for the upcoming season of the show, after she was left out of a new promotional photo for the series. Agron’s character, along with Lea Michele, Chris Colfer, and Cory Monteith all graduated last season on the hit FOX series, but all of their characters will return despite heading off to university and to pursue other careers. However, when a promo image was released for the upcoming season sans Agron, fans went into a frenzy as to why she would not be returning. Murphy took to his twitter page to to ensure fans that she will be back! 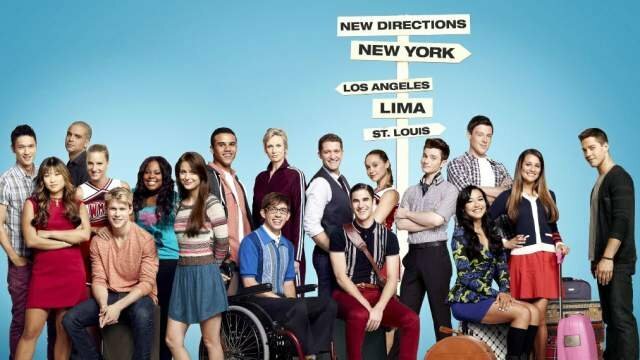 If Ryan, Zach and company created a Glee spin-Off show that didn’t include the main cast from Glee but did include all the Glee Project season 1 and 2 contenders that didn’t win as well as Glee characters that are missing-in-action like Sunshine Corazon, Matt (from season 1), Terri & Kendra Schuster, Bamboo and Sandy (aka the Pink Dagger) would YOU watch it? Visit the GLEEKS fan page wall at http://www.facebook.com/pages/Gleeks/409664172416708 and “Like” us if you LOVE this idea!